I wasn't even looking for vinyl-coated clips. Heck, I didn't even know they existed. I stumbled across them quite by accident when I was looking for something else. But for just a few bucks, I decided to get some. 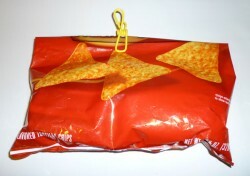 I use these to reseal chip bags, cereal, bags of salad... just about anything in a bag that needs to be kept closed. 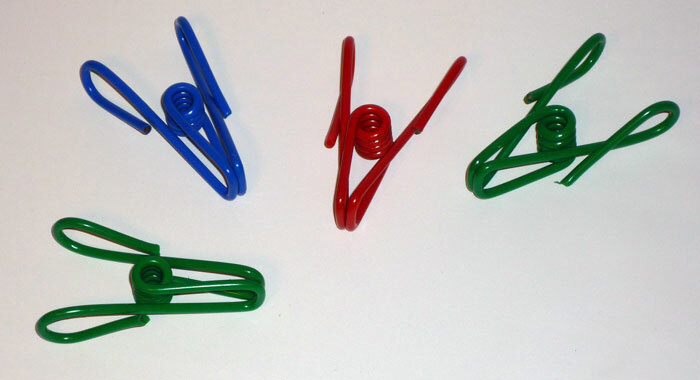 For just a few bucks, I bought a supply of these vinyl-coated wire clips. 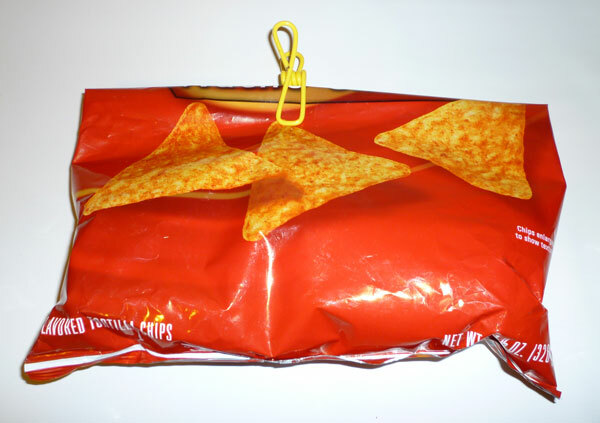 They're called "Everything Clips," and indeed I use them for everything — from hanging notepads on my refrigerator to resealing chip bags & cereal bags & any other type of bag that needs to be re-sealed, clipping papers together, hanging skirts & tank tops on hangers, as clothespins. They can be used to hang small towels, as bib clips, to clip things temporarily to your clothing. Perhaps the handiest thing about them is that the loops at the top of the clip allow you to hang them. So you can hang just about anything anywhere that there's a hook or a screw or a nail to hang it from, even if the thing you want to hang doesn't have a hole or loop to use for hanging. 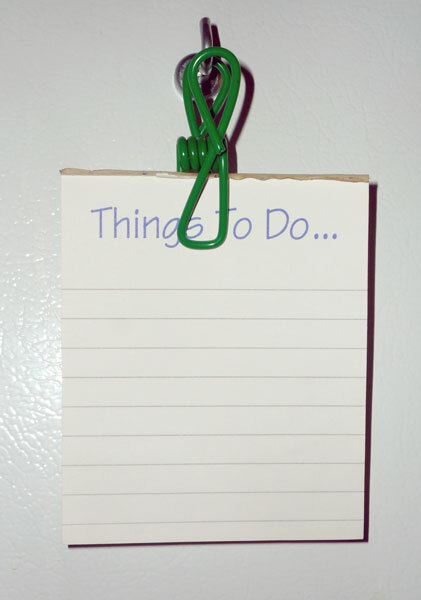 I hang them from the neodymium magnetic hooks on my refrigerator. My husband uses them in his workshop. I don't know what-all he uses them for out there, but he must find them useful, because he keeps stealing them from the kitchen drawer where I keep them. I keep some on our boats. It's surprising how often a simple clip comes in handy on a boat. The vinyl coating prevents rust, so they're safe to keep and use just about anywhere. I keep some in my car. In my laundry room. In my desk. I use them all the time for so many things, I wonder how I lived without them. NEW AMCO houseworks sealed 12 vinyl coated everything clips.Hang laundry, more.